The service related to a high pressure water main which ran beneath the existing gate post as the farmer used a post knocker to push the fence post in a bit further. The farmer indicated that they were only going down about 0.5m below the ground surface. Villagers had to be rescued from their homes by firefighters and drivers became stranded on the A6 & surrounding roads, which remained closed last night. A number of homes and businesses have also been damaged. 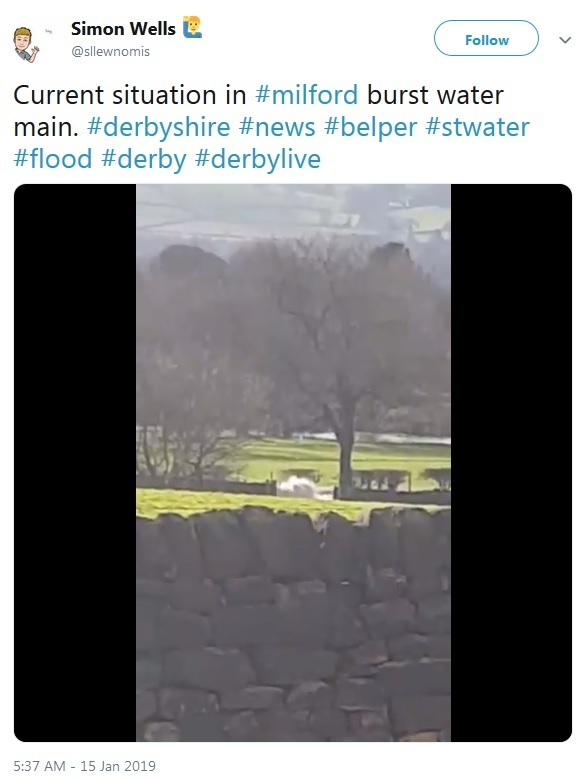 This tweet shows a video of the burst as water spills out into the fields. 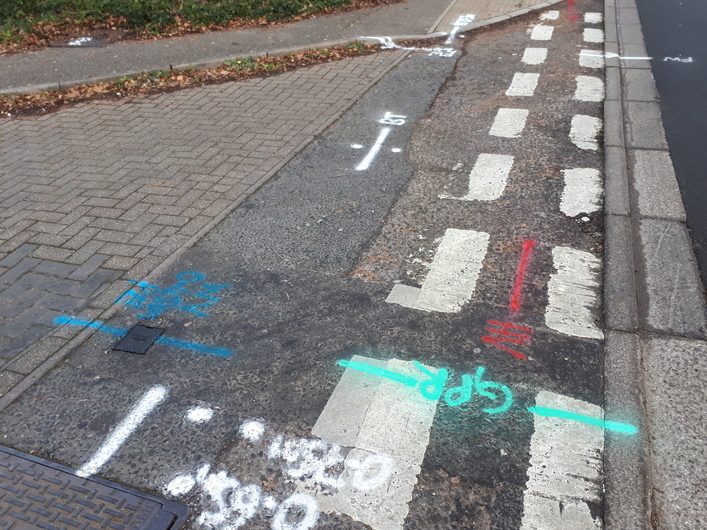 GEOTEC Surveys Ltd detect and map the location, direction, depth and type of buried services and utilities, including water mains using a variety of cover lifting, radio frequency detection (EML) and Ground Penetrating Radar (GPR). We regularly receive phone calls from clients who are carrying out small jobs such as this in order to provide a survey (sometimes after they've already hit something). The most cost effective approach would be a mark-out / service clearance whereby we spray on the ground surface the position and depth of detected services, as illustrated below. Get in touch today to see how we can help you avoid a water pipe strike!